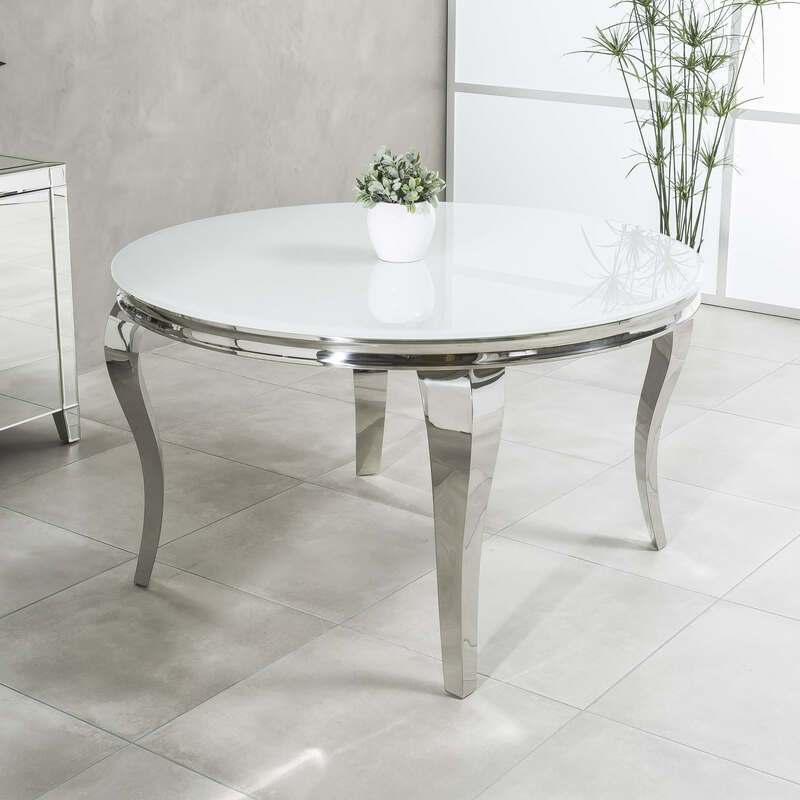 This stunning new Louis circular dining table would make a big impression in anyone’s dining room. 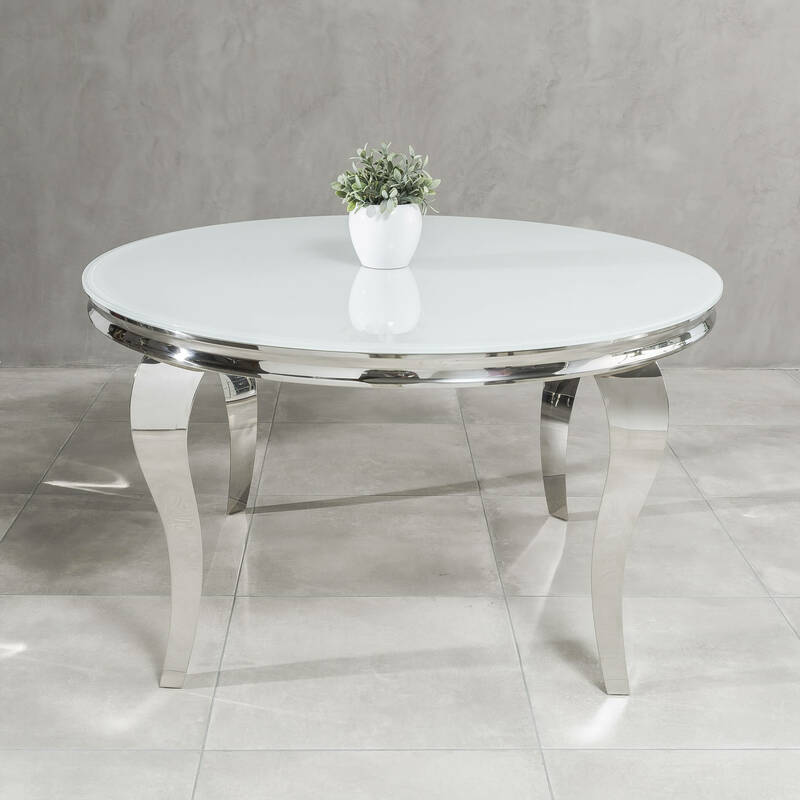 It has a 12mm tempered white glass top sitting upon a concave freeze with four cabriole legs. The table illustrated in the image is of a 1.3 meter dining table and will seat 4 people comfortably. The Louis dining table will be delivered flat packed in three boxes to ensure you get it through your doors and into the room of your choice.